Yesterday I described what I feel is a gap in Porsche’s mid-engine model lineup. If you missed it, you can read it here: Porsche’s Mid-Engine Gap. My solution to Porsche’s mid-engine model gap? I call it Project “Roxster”: Building a Rocking Boxster. Maybe not quite powerful enough to challenge a Carrera GT, but certainly closing the gap between the Boxster and the CGT a little. It’s essentially a 500 hp Boxster S.
The target vehicle is a 987 (2005 and newer) Boxster S. It’s looks rival the CGT a tad more in the front end design and the benefit of a durable Boxster S 6 speed is essential. Price ranges come in at the low 30`s to low 40`s depending on mileage, year etc. I can tell you that the cost to build such a car will run the gamut. In my research, I found quite costly options as well as some ways to cut costs. It’s all about getting what you want. Practicality and desire never have been (and likely never will be) good bed mates! For appearance sake and the necessary requirement of adding some wider rubber and track to the Boxster S, a wide body configuration is needed. That help comes from a Techart wide body kit. I found it to be the best of all available.CEC wheels is the North American distibutor for Techart. If you are a mechanically inclined backyarder, and can handle some body preparation, minor tack welding and a little grinding, it’s possible you can save a little dough and install the body kit yourself. I took a look at the instruction kit CEC sent me and it’s definitely doable. You’ll want to have an equally adept additional pair of hands to help you though. Through CEC Wheels, a Techart wide body 987 kit will set you back $9900. If you want a spoiler included, add $689. 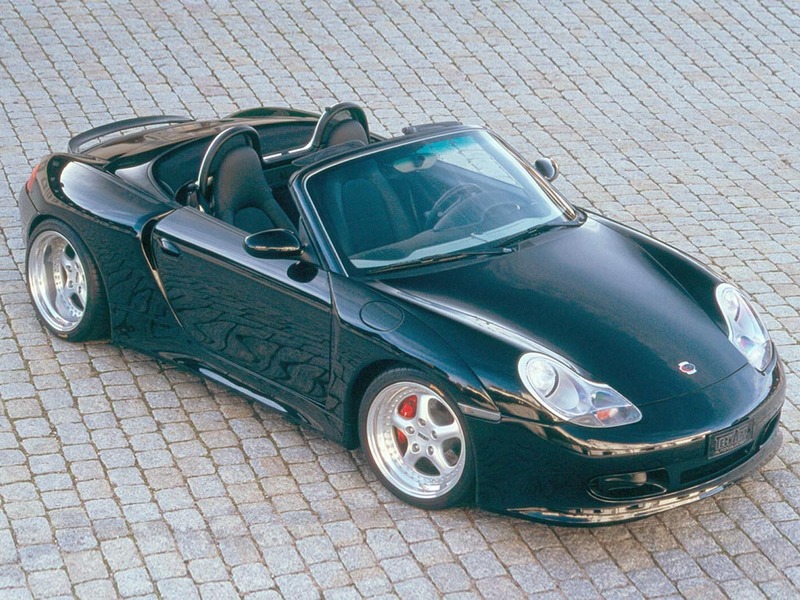 You now need much wider wheels and extra rubber to fill out the Boxster body on steroids. Techart suggests the new sizing for your tires to be 305/25 ZR20 for the rear and 235/30 ZR20 for the front. That much rubber requires 8.5 inch width wheels up front and 11 inch out back with close attention paid to your offsets. I am reluctant to go with 20″ wheels, and it’s not a requirement, so 19″ suits me a little better. That’s a can do. Wheel and tire pricing can vary greatly depending on personal tastes. Techart does make a “Formula” series wheel that is depicted in most photos of the Boxster wide body conversion they make and I like them. Since that could vary from person to person, a safe bet is figuring you are going to spend between $4000 and $6000 for your new sneakers. Your body conversion can be painted to match your car color. A whole body repaint not necessary, so we’re only adding in small cost at roughly $500 to $1000. If a body shop is required to do the entire install of your kit, without knowing current shop rates, I am going to guess that what the paint job costs would easily double for the install, if not more. One cool thing to note is the LED front lights that come with the Techart wide body conversion. Super cool looking and they are included with the kit. As for suspension and brakes, I actually feel that this is one area where no upgrade is needed. Porsche has always excelled in suspension and braking. The only revision will be the spring drop on the front to give the car a nose down attitude. Now for the ROCK and ROLL for which this project Boxster gets the name ROXSTER! This is where some really big checks can get written. I can tell you I am quite mechanically inclined but wouldn’t tackle this end since my experience is in vintage muscle cars. With old cars there is lots of room to work with. There aren’t any ECU`s (fancy acronym for on board engine control electronics), electronic throttles and so on to worry about. Some fabricating may be required when forced induction setups get added making it beyond the average backyard mechanic stage of auto work. Off the top in my research to reach a 500 HP goal, I went through the same process as most hot rodders do as far as seeking out horsepower. First thought, there is no replacement for displacement, so I am thinking I need more cubic inches.Second thought, in bringing big horsepower to a small car, what’s going to break when that that much horsepower is now part of the daily drive? Although opinions vary, I went with the experience of others who have built up the Boxster/Cayman. Most have found that the drive train to the Boxster S is a lot more durable than given credit for and for what it was seemingly built for. 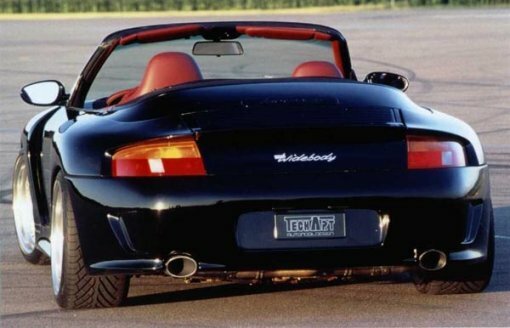 The 6 speed Boxster S transaxle is in fact tough enough to handle the increased load. That comes from TPC Racing. When one considers the build ups and experience they have, I trust the assessment. Looking for a goal of 500 hp, I found that my search for bigger cubes got very pricey. However, an upgrade to a 3.8 “S” coupled with aftermarket forced induction would not only reach 500 hp, but depending on what route you went with additional induction and ECU tuning, WELL over 500 hp! At the 500 hp mark, I feel safe with the Boxster transaxle. Approaching 600 hp, no matter what anyone says, I`m getting scared that shrapnel flies on the first 4k sidestep of the clutch. My first search had me at my local Porsche dealer. I was quoted for a 2009 3.8 “S” motor at almost $33,000. A remanufactured one at almost $20,000 with core charge. Considering the rebuild was done by Porsche at the factory, could it be worth using a reman`d motor? That’s a personal decision. ALL crate engines purchased at Porsche can be sent to any tuner anywhere for install, BUT according to my local Porsche dealer, they would prefer to ship to the dealer it was purchased at for pre-inspection. I respect that. I can also tell you my local Porsche dealer was super helpful on getting me the quote and quite friendly about it. That ends up at 385 hp as opposed to the stock Boxster S at 295 hp (or 310 DFI). Sending the car off to your preferred tuner is now going to cost you an install. Add shop rates for this with an estimate on hours. I couldn’t tell you how long that would take but would guess at 20 hours. Now for the forced induction. I found TPC Racing as the best bet. They have battle tested cars and hundreds of customers worldwide with predominately positive raves about their 3.8 supercharging system. That will set you back $12,000 including ECU upgrade and tuning. At this point, you are looking at sinking some big bucks into the Boxster S that are resulting in a fearsome machine at well over 500 hp…in fact you’re approaching 600 hp! As I mentioned, I feel safe with 500 hp in the Boxster factory transaxle (upgraded clutch), so I am now doing some thinking here. Approaching 600 hp could be too much. The CGT is in the 600 hp range, but it has a carbide clutch and a ZF transaxle designed to handle abuse. Everything is wrapped in a carbon fiber body befitting of nothing less than a race car to handle the loads generated by over 600 hp. The Boxster simply does not have this engineering, or you would be paying mid 6 figures for it as well! One last foray into examining the bigger cube route was with some good help I got over at RUF. They do a turnkey 3.8 conversion for the Boxster S. RUF will even do a turnkey supercharged AKA “Kompressor” that, according to RUF, conservatively puts out 450 hp. Your bill…approaching $70K for that pit stop alone. That really had me thinking. How necessary is a bigger cube upgrade? Not quite half a liter for a street car that is light to begin with. 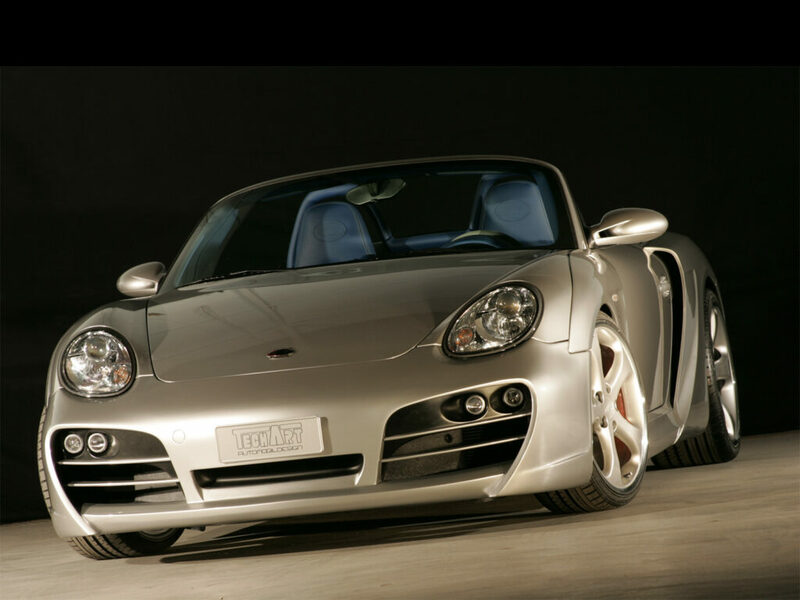 I decided to look at options to juice up the 3.4 the Boxster S is equipped with. I was told by many the 3.4 couldn’t take it nor could the stock transaxle. I sought out one more opinion from a company that does offer a steroid pop for the 3.4 and has many battle tested customer cars out on the road already. TPC Racing has built a Turbo system teamed with ECU and exhaust tuning that, using 5.5 lbs of boost and a commitment to 93 octane, will see the stock Boxster S pumped up to approximately 485 hp. All at a cost of about $13k INSTALLED! Included is an X51 clutch upgrade. A LOT less money. And what’s great is this system has been tested extensively by TPC with no disasters to the stock drive train and on many a customer car with little to no complaint. The last option for upgrade to the stock Boxster S hp numbers had me thinking if my 500 hp goal was even necessary. It’s not a magic number. 485 hp on the street in a little Boxster S with less worry of major breakage and at a tremendously lower price tag than a 3.8 Conversion proves to me to be the best option for building a 500 (well almost) hp Boxster S that bridges the gap between a stock Boxster and a CGT for those who may feel like me that a need exists for little more from Porsche in the way of mid-engine offerings. I really feel a factory offering that satisfies the moderate need for a mid-engine Porsche would be a good exploitation for the company. I would be happy owning a mid-engine in the mid-range market and to build one to satisfy my mid-engine craving until the CGT dream materializes. That said, anyone wishing to donate to my newly setup Project Roxster fund? Anyone? 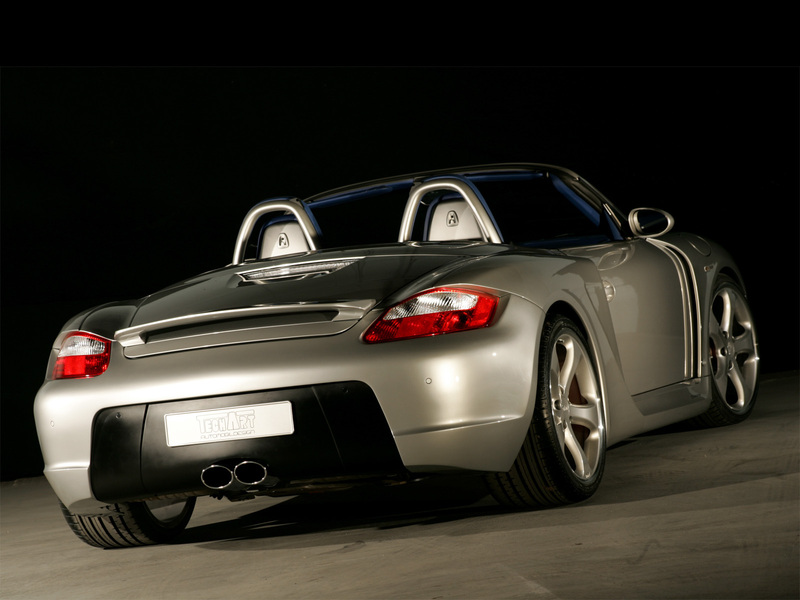 This post was submitted by Brad, our resident Boxster and Carrera GT advocate of sorts. Thanks Brad! The Project Rockster is a great idea. Would be a good middle of the road mid-engine car. And a name change to Cosmo Kramer! That’s such a great episode. Makes me laugh every time I watch it. Then you can take your show on the road and visit Regis & Kelly. Great info…thanks! I have been looking to have a 500hp mid-engine Porsche in my garage for < $60k…this just may do it for me!